In the near future you’ll be seeing more TriMet buses in the neighborhood, but they won’t be just picking up and delivering passengers. TriMet is in the process of having a new bus operations facility in the neighborhood for bus storage and maintenance. It will be on the five acres on the north side of Columbia Boulevard, just east of 42nd Avenue, in the Cully neighborhood. Since 1960, the property has been the home of Peterson Cat, the Caterpillar equipment dealer. “TriMet’s 10-year expansion of transit is accelerating and we are adding more than 11,000 weekly service hours coming in the next five years,” said Roberta Altstadt, TriMet media relations & communications manager. TriMet currently has about 690 buses and, by 2020, expects the need to grow to more than 900 buses. Its three bus operations facilities are already at capacity, so the service expansion will require a fourth bus headquarters. 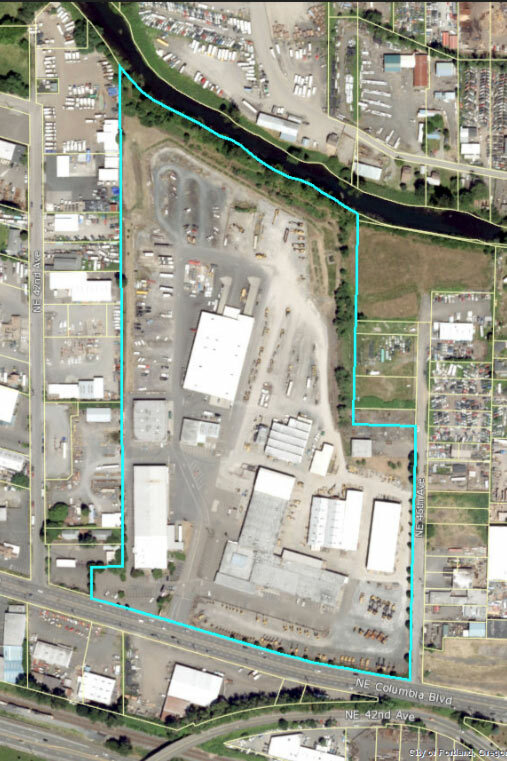 TriMet looked at several locations for a fourth garage and the Caterpillar property was felt to have the best potential. Among the criteria is the proximity to the service area and access to major arterials to minimize bus travel to and from the route to the garage. TriMet’s outreach team has been working to notify residents and business owners in the area. It has sent postcards to addresses within a one-half-mile of the Caterpillar site. What about buses going through Concordia, particularly 33rd Avenue? “Traffic studies are underway to determine what improvements TriMet might make to adjacent streets and sidewalks,” she explained.